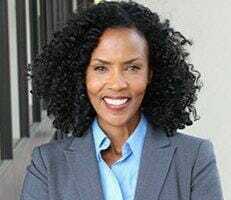 Whether you need your teeth cleaned or a cavity filled, Dr. Paulo Cortes and the staff of San Diego Smile Center offer a wide variety of general dentistry services that can meet your needs. If you live in Mira Mesa within the San Diego area, call and schedule your yearly exam at your earliest convenience. How Often Do You Need to Have X-rays Taken? Most dental professionals recommend having X-rays taken every two to five years. For most people, there isn’t significant enough change in the structure and health of the teeth to warrant taking them more frequently. If you visit Dr. Cortes and he finds a possible cavity or other problems, he recommends an X-ray so he can provide proper treatment. X-rays are safe for all involved, but the fact is, they simply may not be necessary unless you’re experiencing some dental or jaw pain. The only time a second set of X-rays will be taken is if something shows up that may pose problems in a year or two. If Dr. Cortes begins to see signs of changes, he may call for a second set of X-rays. 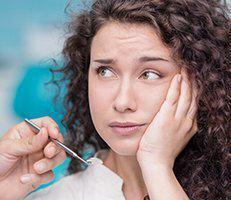 What Happens During a Routine Dental Visit? During a routine dental visit, Dr. Cortes and his staff will perform several tasks to be sure your teeth and mouth are healthy and free of problems. The dental hygienist will prepare you for your cleaning and ask if you’ve experienced any changes over the past year. A set of X-rays may be taken if they’re needed. After your teeth have been cleaned, Dr. Cortes comes in and closely examine all the structures in your mouth. 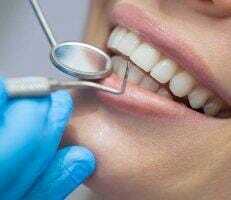 If he doesn’t find any cavities, he discusses any issues you may be having and offers suggestions on things you can do to take better care of your teeth. If he finds a cavity, he may choose to fix it then, or you can opt to come back at a later date. What Does Dr. Cortes Look For During Your Annual Exam? Dr. Cortes takes a close look at both your teeth and the soft tissues of your mouth. He looks for areas of plaque buildup and other areas where you might not be brushing as well as you should. He also looks for cavities, cracks, and small fissures that may lead to larger problems in the future. 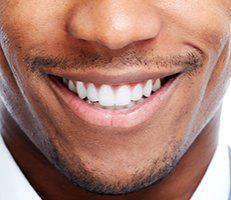 When it comes to the soft tissues of your mouth, he looks for any sign of gum or periodontal disease. He also watches for lesions or abrasions potentially caused by dental appliances you wear on a regular basis. Dr. Cortes will address any issues he finds in need of attention. If he finds small issues that don’t pose a problem, he makes a note of them and continues observing them to ensure they don’t get any worse over time. If they do, he can take corrective measures as needed. Dr. Cortes, his wife and his office staff are amazing. They made me feel so comfortable and right at home. They’re positive energy is infectious! Very down to earth. They are a great team. I am assured they want to give the best dental service they possibly can to people. Their enthusiasm and good will is wonderful! Dr Cortes is a breath of fresh air to the San Diego Smile Center practice. He is not only very meticulous and detail-oriented, but he also shows you what you have. I have to say this dental office is the most caring office I have ever been to. They are so kind and passionate about his work.